PASTA DOES NOT MAKE YOU FAT AND MAY EVEN HELP YOU LOOSE WEIGHT. it even may help you lose weight! 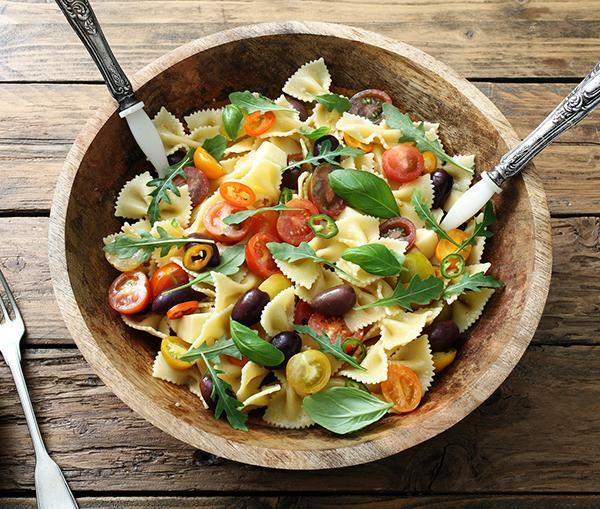 Choosing healthy, low Glycemic foods, like pasta, is a useful nutrition strategy. People who are overweight are encouraged to choose high quality, low Glycemic Index foods, according to the consensus of scientists worldwide at the 2013 Glycemic Summit. That’s because low Glycemic index foods, like pasta, digest more slowly, keeping you fuller for longer. Nutrition experts also find that healthy diets can have a wide range of carbohydrates, fat, and protein, so long as they are not excessive in calories, and are full of wholesome foods like fruits, vegetables, and whole grains.